Back in the day, when Mantic first started, they used to hide jokes and puns in the fine print disclaimers of their packaging. It wasn't something they told anyone, so a lot of people missed them. Once I found out, I really looked forward to them. Unfortunately they stopped adding the jokes a while back, and I missed them. 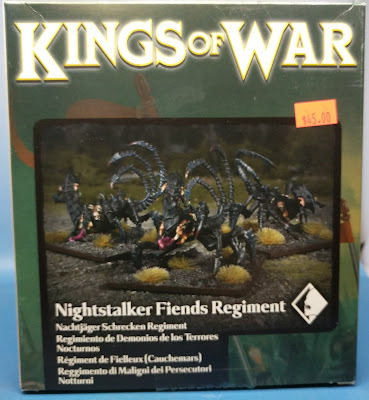 So I was very pleased to see the above inside the packaging for the new Nightstalker Fiends Regiment. Just a cute way of reminding us that they are gamers too. 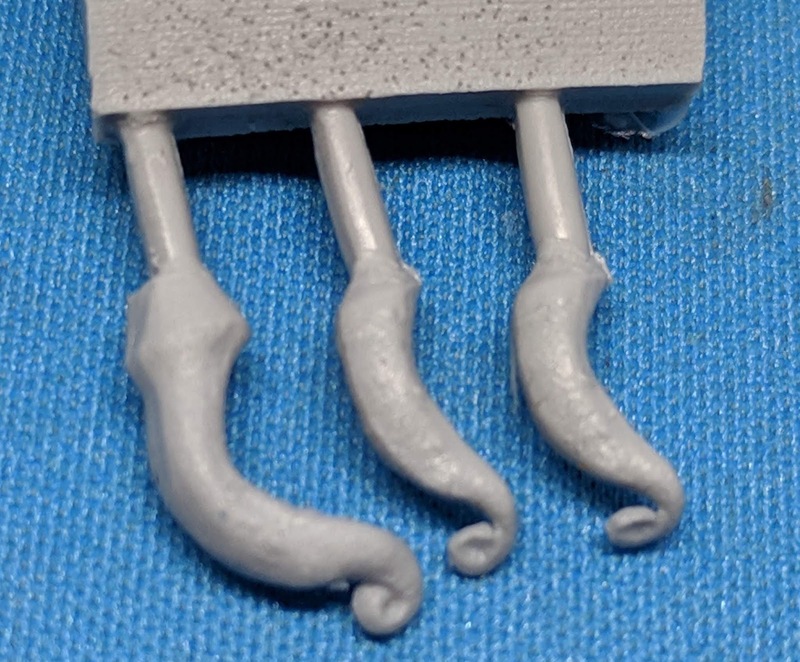 Be aware - these new resin fiends are VERY fiddly and it is very easy to break part of them. I am curious to see how they will actually hold up on the tabletop. 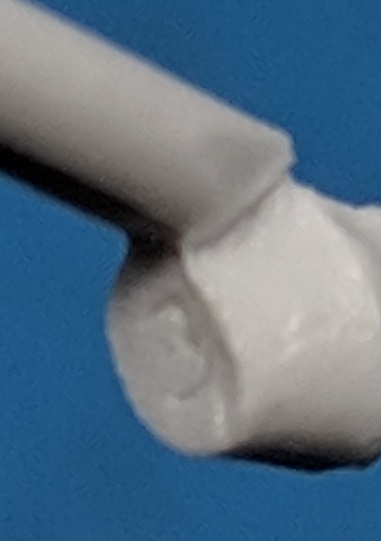 I've seen several pictures from people who had broken parts, and while originally everything was intact in my package, one of the tails has already broken off just in unpacking and taking pictures - and I haven't started putting them together yet. The problem I find though is videos go at the pace that the person filming it wants, and they are a pain to back up or fast forward to get to a specific point. In addition, I'm not one to have my computer near my workspace for putting them together, and trying to do it using a tiny phone screen just doesn't work very well for me. So in case you haven't noticed by now, I prefer print. So first off are the bodies. There are three different ones, each slightly different. The heads however, appear to have two of the same (with hooked mandibles) and one different. There are also these 'tongues' - which attach not to the head, but to the open mouth in the middle of the body. I haven't fitted them yet, but it appears that they will only fit specific bodies. Then come the tails. Thin and whip like - take a lot of care cutting them off and cleaning them. As you can see the middle one already broke on me. 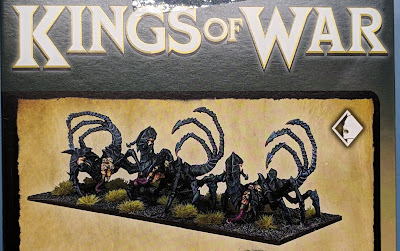 I am wanting to put these into my demo army (to show them off), and am really not sure how they will hold up. In the assembly video, they mention that the legs (and sockets) are all numbered. These are very tiny and hard to find and read for old farts like me. These will definitely need to be assembled using my magnifying light. 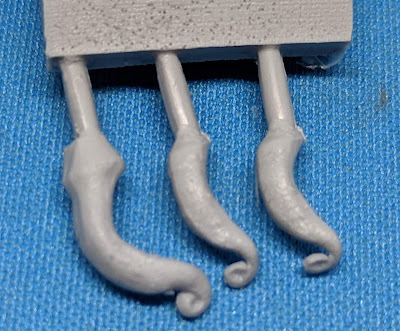 There is a second sprue of legs that I also received a duplicate of. 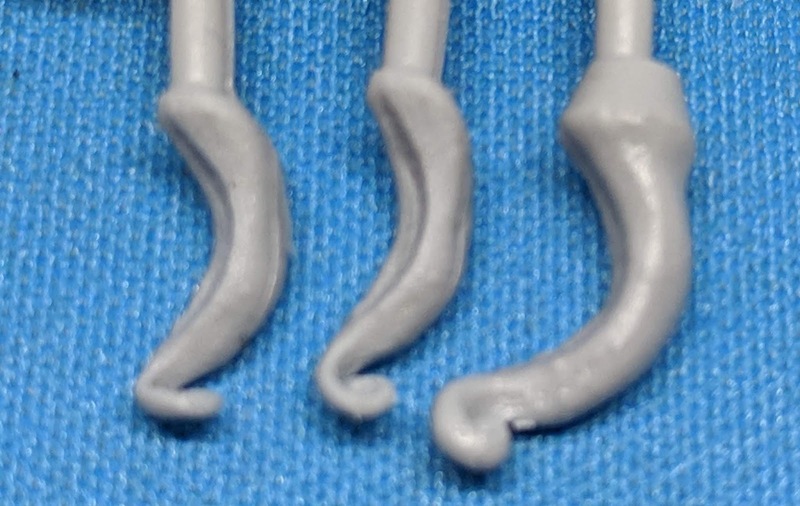 There are two different sprues of legs for the last ones. These have the bigger connections for the 'feet' go allow them to be glued to the base and be a bit more stable than just the standard bug pointy foot. Check out the video to see how to put one together.